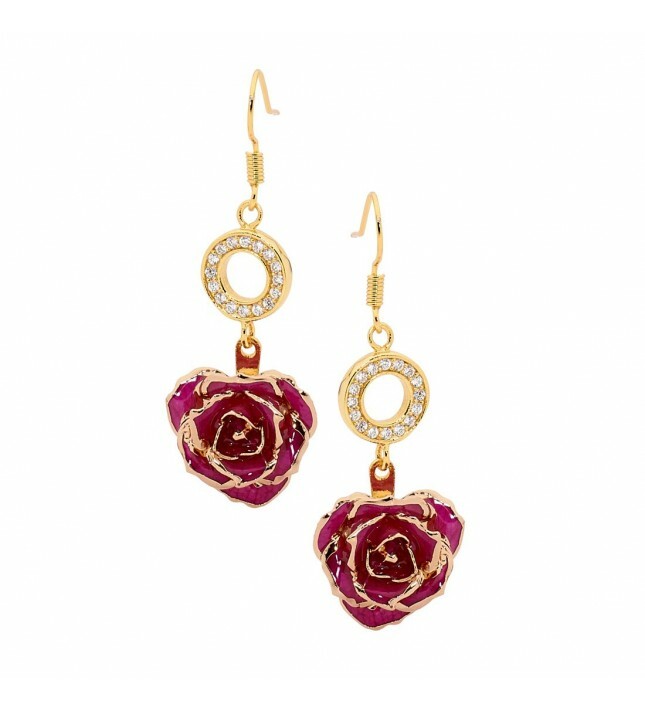 • These elegant earrings are made from a combination of genuine 24 karat gold and beautiful natural miniature purple rose petals. • Every earring features 16 radiant synthetic diamonds. • Each pair of earrings comes presented in a dark-blue velvet pouch that has gold braid detailing. • Every item comes with an authenticity certificate. • A lifetime guarantee comes as standard with every intricately detailed pair of earrings. 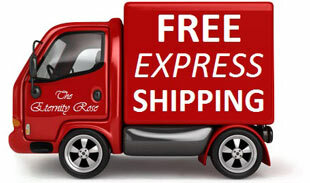 • Every purchase receives fast priority delivery as standard. Skilfully crafted from real miniature purple rose petals and trimmed with fine 24 karat gold, these pretty earrings have a drop-length of approximately 1 5/8" with a beautiful 16 synthetic diamond-encrusted ringlet. Each pair of earrings is hand-made to superior standards. These jewellery items are produced with the best workmanship and thus come complete with a lifetime warranty. 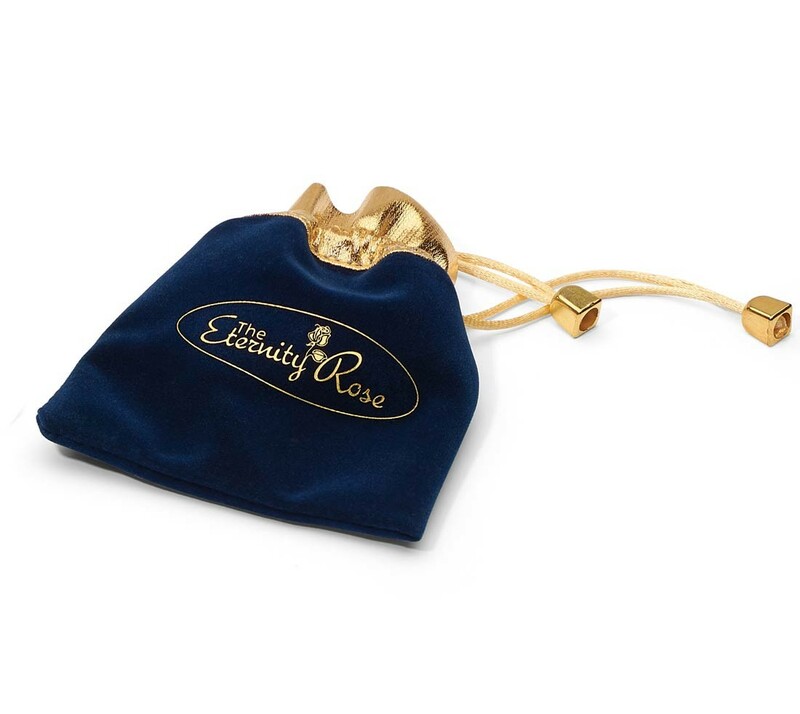 Every petal of the rose is glazed to perfection in a complex three-month long process and is trimmed with the finest 24 karat gold, so it is no wonder that these stunning items, part of Eternity Rose's magnificent range, have won awards for the quality of their design. Each set of earrings is rigorously tested and developed to the highest European standards. Any woman who loves the beauty of nature and the grace of fine jewellery will truly appreciate receiving this magnificent gift, whether for an anniversary, a birthday or for Valentine's Day.